He’d start off the year by running mid-pack through the season-opener at Sunset Speedway en route to a seventh-place finish. He’d repeat the same performance when the series returned to the Innisfil, Ontario oval a couple weeks later on Spring Velocity weekend. The speed of the No. 64 Camaro began to shine through when the series hit the bigger tracks on the schedule, beginning at Kawartha Speedway in June. Book placed third in his qualifying heat, allowing him to start on the front row for the feature. He used that to his advantage, remaining in the top-five throughout the entire event to finish fifth. He then backed it up with another fifth a couple weeks later in the series’ inaugural trip to Jukasa Motor Speedway. Returning to Sunset Speedway at the end of June, he was able to find a little bit more speed en route to a sixth-place finish. The second trip to Kawartha proved just as successful, as well, as he ran in the top-five once again all race long en route to a fifth. The continued progress throughout the season to date paid off entering the month of September, where Book would truly shine. He won a pair of qualifying heats at Sauble Speedway, before placing third in the feature. He would then break through for his first career feature victory at Brighton Speedway after a race-long battle with dirt regular Brandon Crumbie. Unfortunately, Velocity 250 weekend at Sunset Speedway did not start off smoothly as Book was involved in an incident in his first heat. He was able to rebound, making his way through the field after starting deep to pass Tyler Hawn in the late stages for a fourth. 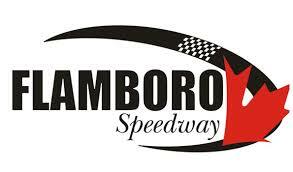 He then capped off his success campaign with a third-place finish at Flamboro Speedway’s Frostoberfest.